At the end of a new cul-de-sac just outside of Hudson, a half-built house is surrounded by dirt piles, a dumpster, and stacks and stacks of white polystyrene insulation. 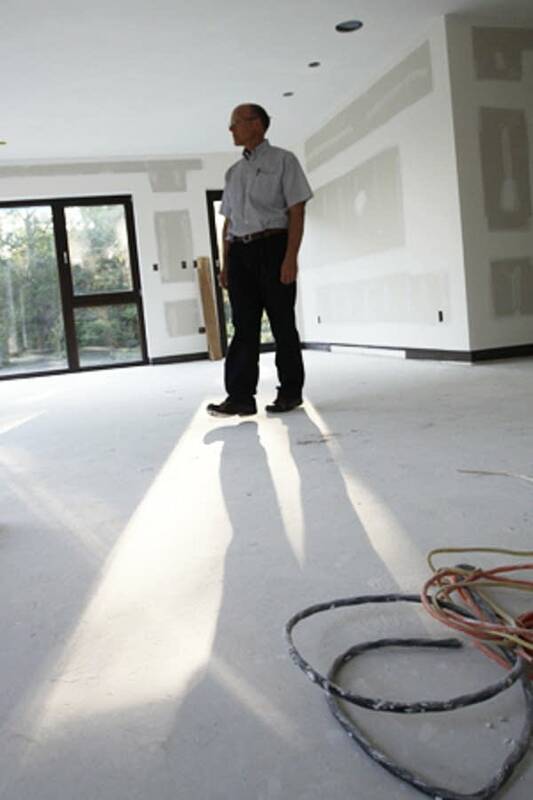 Gary Konkol is building a house that will produce practically all the heat and power it needs. It's based on a German approach to home-building, called Passive House. Konkol seems a little surprised to be building this house. 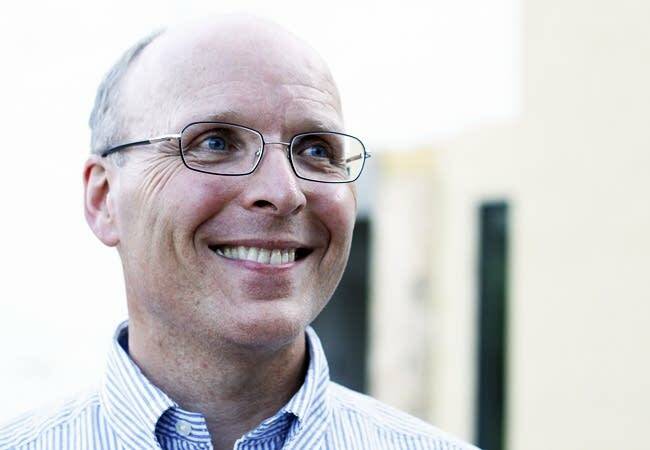 He and his wife and two daughters were living happily nearby when his wife was diagnosed with terminal cancer. She researched alternative treatments, including traditional Chinese medicine, and decided their house was unhealthy for her. "She convinced me we had to move, and I convinced her if we were moving we were building a very energy-efficient house," he said. They worked together on a design, but she died a little more than a year ago. Konkol decided to build the house anyway. He hired an architect, and the design evolved from the first vision he shared with his wife. "She would say it's me, not her, but I think she would be very pleased with it," he says. Konkol is a family doctor who's happy to show off his dream home. He said the secret is to this low energy house is tight construction and huge amounts of insulation. "The door is fantastic: 4-foot door, red, and very energy-efficient," he said. The house is just under 2,000 square feet, and has two floors with a walk-out basement below. On the airy main floor, the ceiling is 9 feet high. The walls facing south and west have huge windows and glass doors overlooking the St. Croix River Valley a mile away. 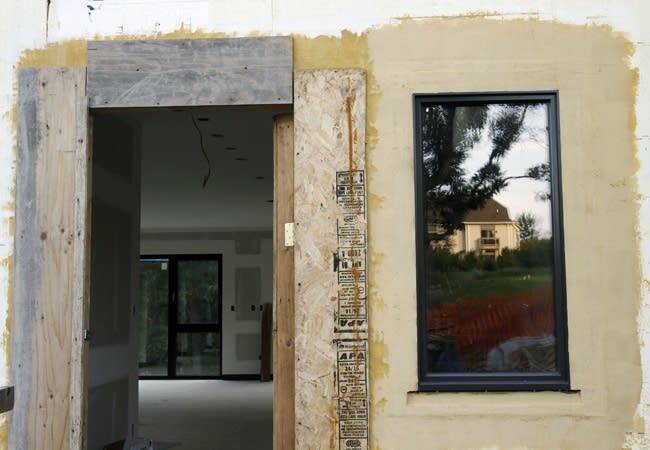 "These are referred to as windows, even though they're patio doors," he said of the German-made windows. "Two panes, coated, krypton-filled. Apparently it's a much better medium than argon at allowing heat to come in through infrared light and not reflecting it back out." For back-up heat, each floor is fitted with an electric mat. But Konkol doesn't expect they'll come on very often -- and when they do, they won't use much juice. "2,500 watts, which is the equivalent of two small, hand-held hair dryers," he said. "And that's the coldest, cloudiest day in January." 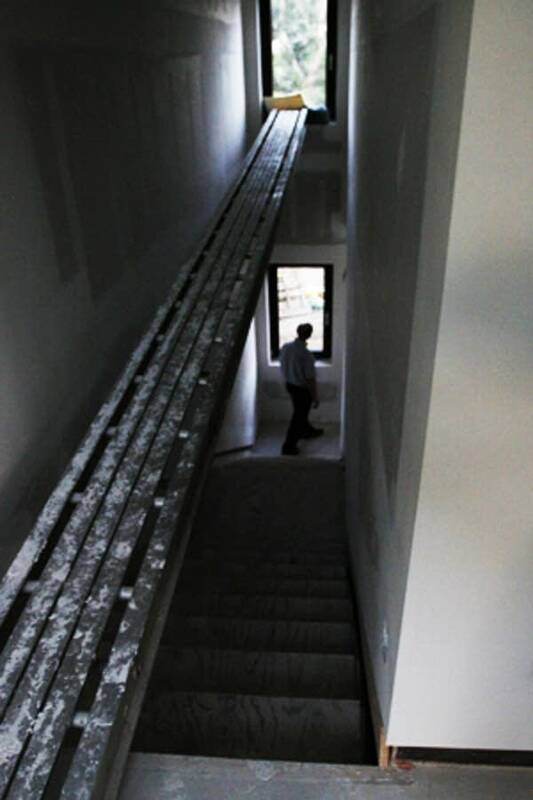 This house has more than three-times the insulation of most homes built in Minnesota today. 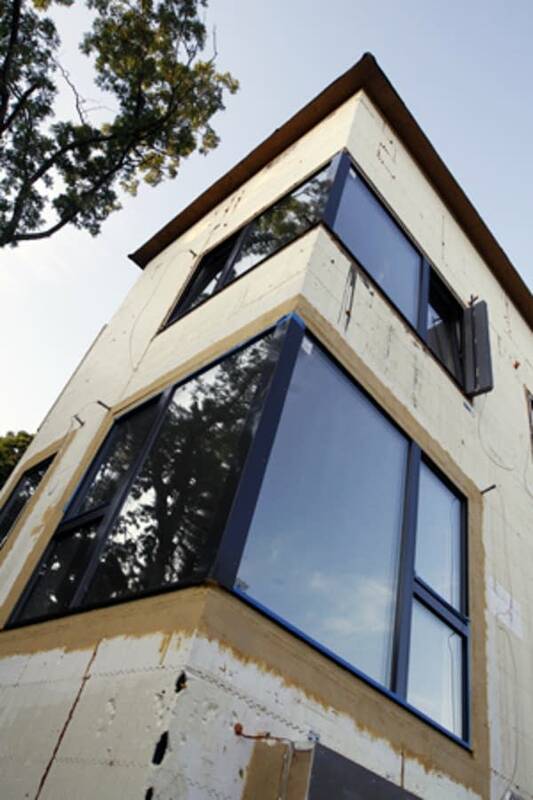 Yet a low-energy house can cost just 15 percent to 20 percent more than a standard house. Nearly one-fourth of the energy used in the U.S. is used in our homes, the U.S. Energy Information Administration reported. A high-tech ventilation system uses heat from the air going out, to warm the air coming in. The system includes a heat-exchanger that uses heat from exhaust air to warm incoming air. Heat is also captured from waste-water from showers and the dishwasher. Designing the house gave Konkol a chance to think about how important energy is in our lifestyles. "There's a certain political mentality that we don't have to compromise how we live," he said. "All we have to do is go drill more, harvest more, buy more, work harder, get more money for it. And I don't think that's going to work." Konkol said the BP oil spill in the Gulf of Mexico is one sign we've run through the energy that's easy to get. He said it's inevitable as we go after oil that's harder and harder to extract, and as concerns grow about the environmental costs of fossil fuel use, that energy prices will only go up. Konkol said that should prompt a new approach. "So that people who are building houses ... can build a conventional house, or as my builders say, 20th century technology, or they can move into 21st century technology," he said. Most of us are not going to build a new house, but the same principles that guide Konkol's super-efficient home can be used to retrofit existing homes. The standards can be a little lower for retrofit projects. Right now, Konkol's home is one of only a dozen in the U.S. that meet Passive House standards. Konkol will offer some public tours this fall before he moves in to his new home. Stephanie Hemphill reported on environmental issues for MPR News.